Not all stands take the form of a "creature," and sometimes, it's these more abstract stands that feel the most alien and frightening of all. 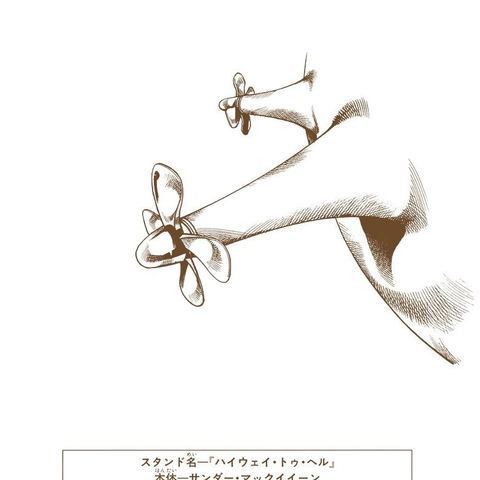 Today's stand technically doesn't even have a "form" of its own at all; it simply manifests as four propellers temporarily sprouting from its victim's body. They're almost comical, but it's the kind of comical I'd expect from my most unpleasant childhood nightmares, and almost evocative of some parasitic fungus sprouting out of its host. Yes, I'm rating some purple propellers higher than I'm probably going to rate some of the creature-like stands. That's just how much I appreciate the totally inexplicable. 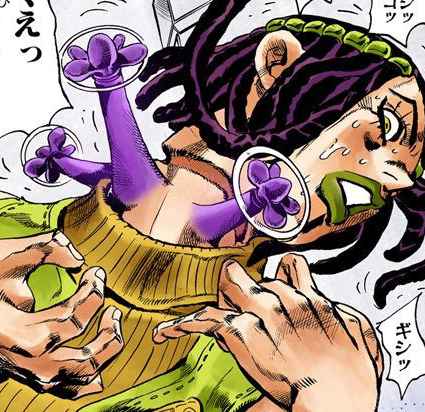 Highway to Hell is the stand of a prison inmate, Thunder McQueen, who repeatedly attempts to kill himself and obsesses over Ermes, a heroine of the Stone Ocean story arc. Whenever McQueen attempts suicide, Erme's body suffers the same physical damage and manifests the tell-tale propellers around the injury. The most unsettling thing about this stand is that, unlike a majority of others, it does it does absolutely nothing to actually benefit its user. It's not that it protects or revive McQueen from death, but that his suicide attempts keep getting thwarted before Highway to Hell can take anybody out with him. 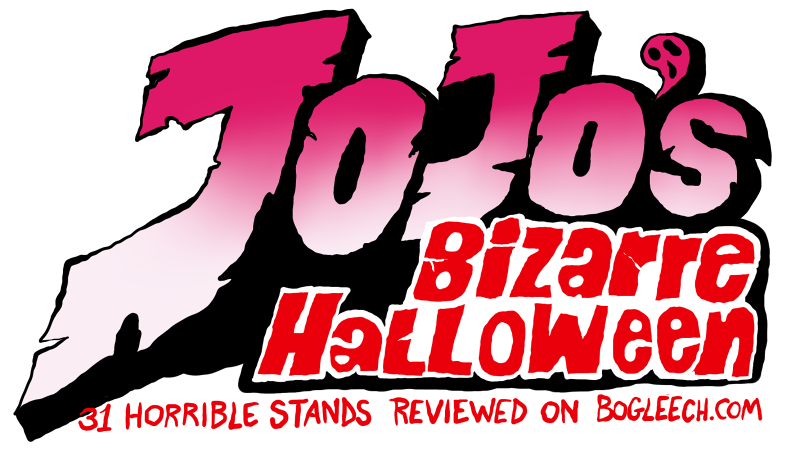 He isn't even aware of the stand's existence at first, and eventually loses it entirely, but presumably, it would have never done anything but kill a single innocent person along with its user.